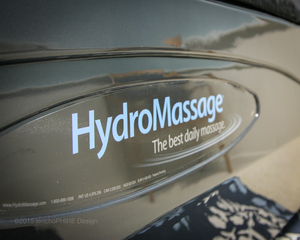 Experience massage like you’ve never have before with the HydroMassage water massage bed with touch screen control! With its “comfort for all-sides-of-the body” open design, it is an incredibly unique system when compared to other massage beds on the market. Traveling jet systems are designed to deliver maximum relief throughout the body by way of an exclusive water-thru-air technology. With a variety of pre-set pressure range programs, as well as over 17,000 user-defined massage options and temperature control settings, you begin to see why New Life Chiropractic is proud to offer this service to its clients. Contact us today to find out more about this amazing massage experience, or visit our Cape Girardeau chiropractic office for a consultation.